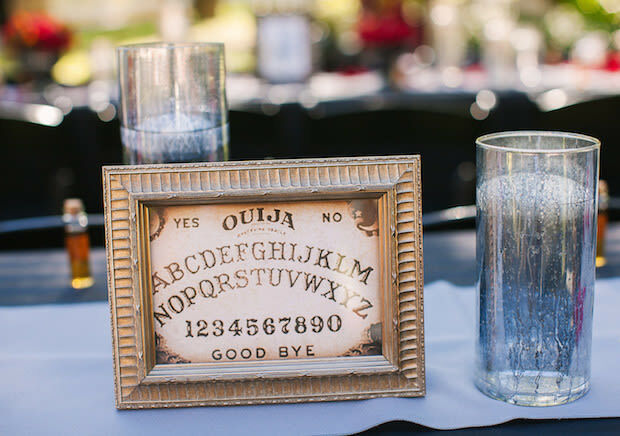 Halloween is an excuse to dress extravagantly and enjoy all things creepy. 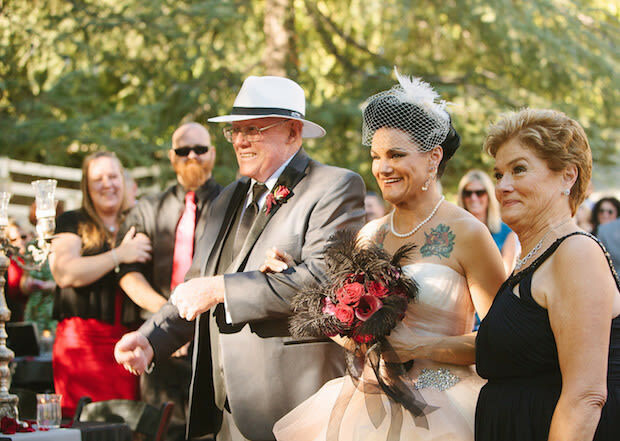 It's not often we see the October holiday incorporated into a wedding, but leave it to local couple Jay and Suzanne to show us how it's done. 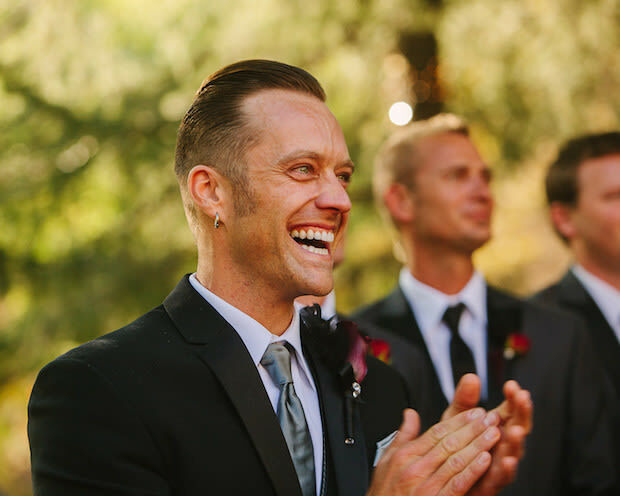 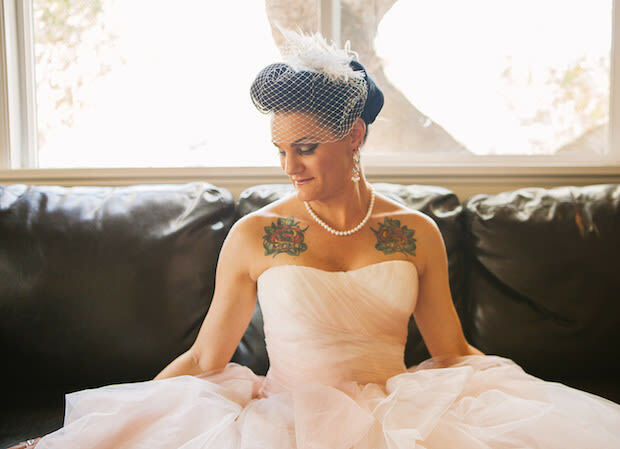 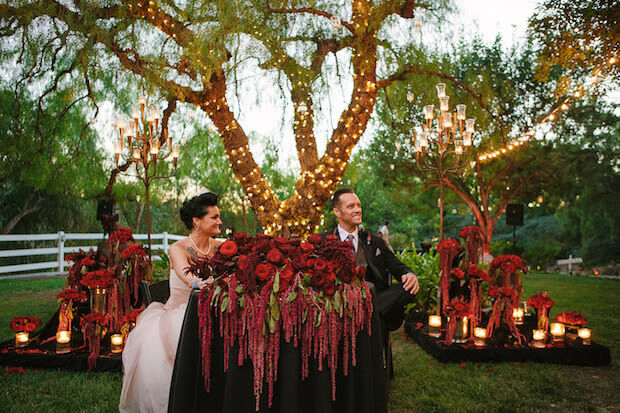 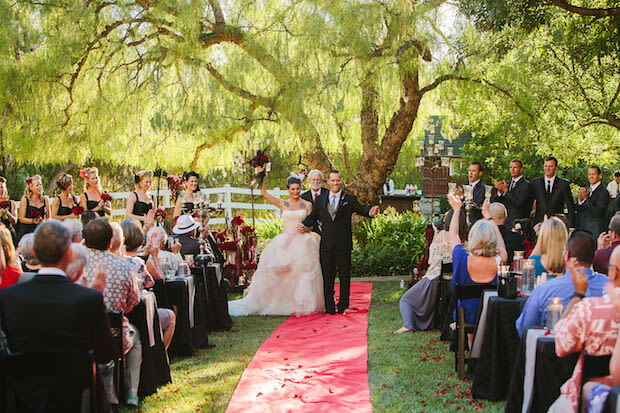 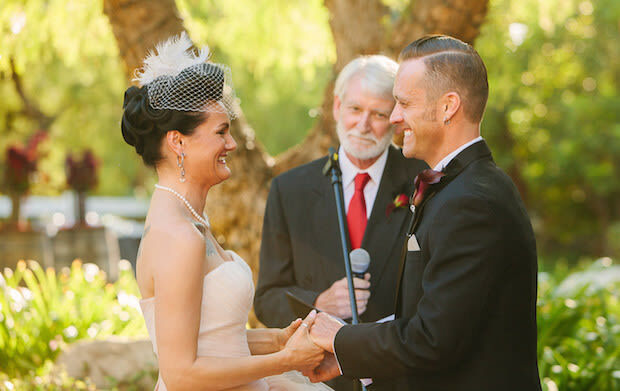 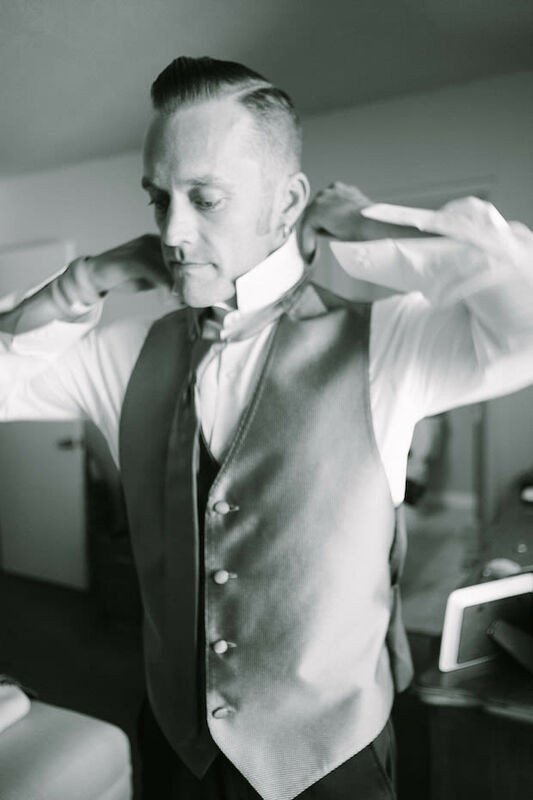 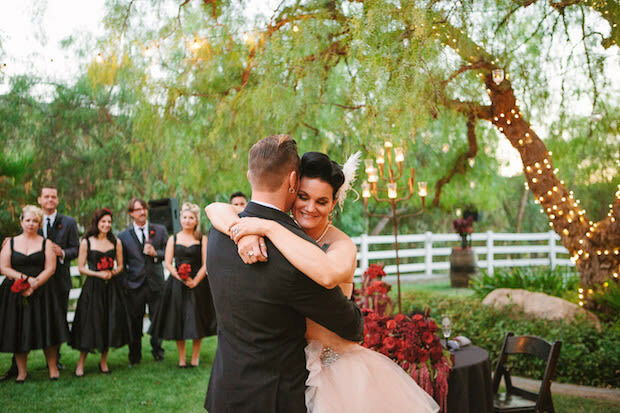 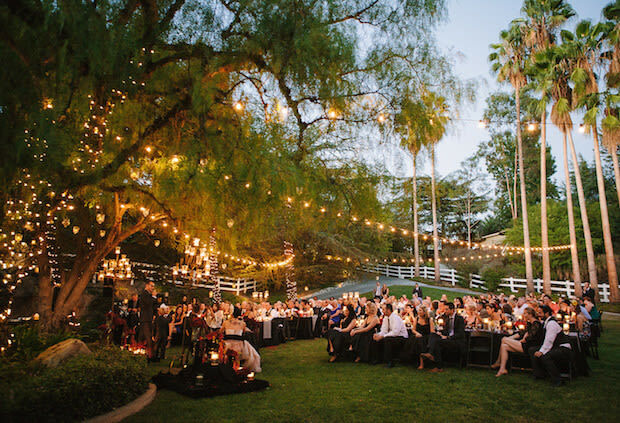 Set beneath the glowing branches of a candle-strewn willow tree at a private residence in California, this couple exchanged vows in a romantic, gothic-themed ceremony in front of a small gathering of their closest friends and family. 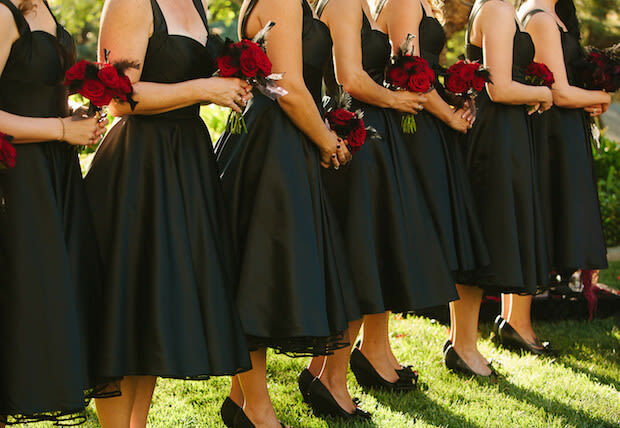 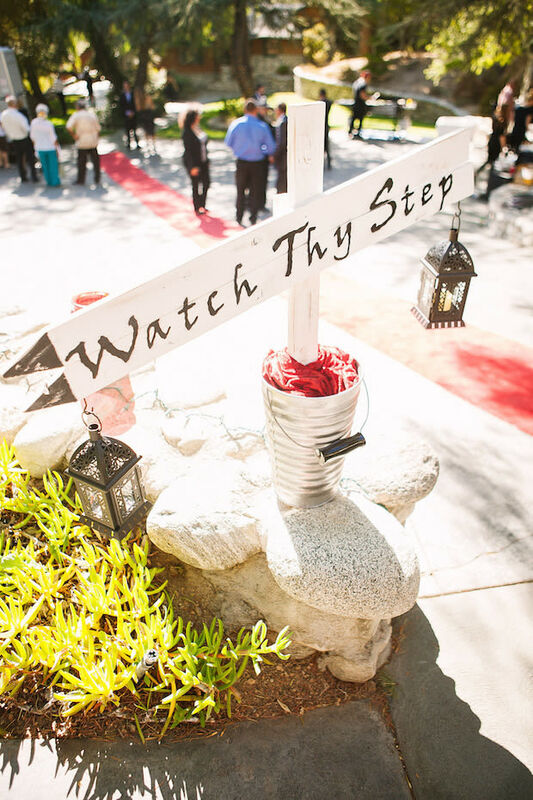 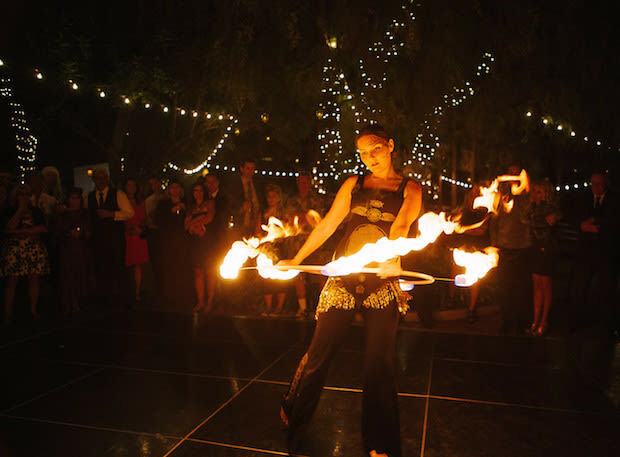 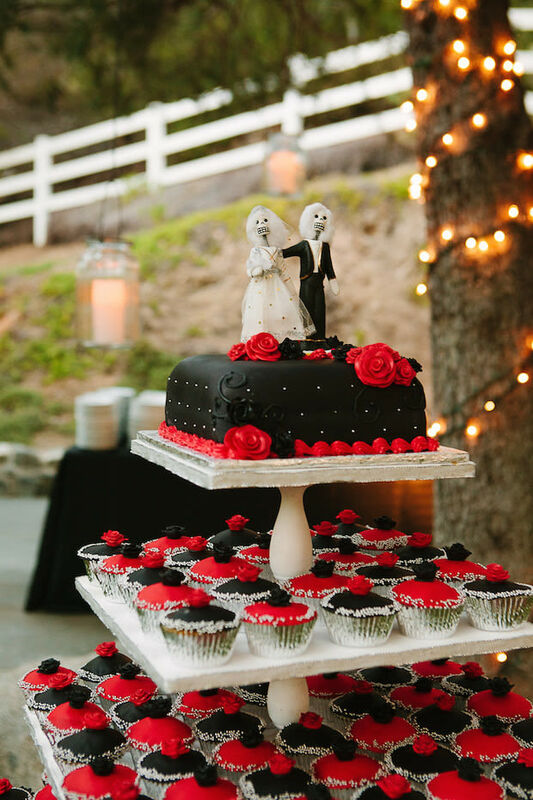 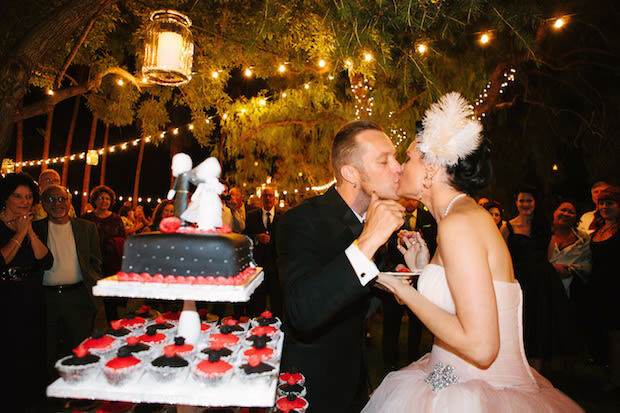 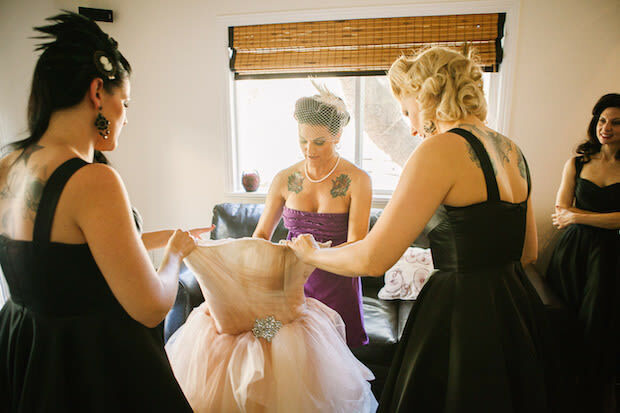 In keeping with their theme, they strayed from wedding traditions in a stylish manner: Bridesmaids wore black dresses, a skeleton figurine topped their red-and-black cake and cupcake tower, and they hired a fire dancer for their reception. 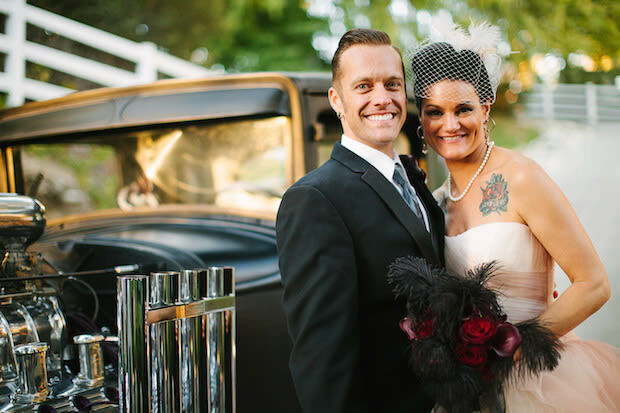 Below, check out every detail of this beautifully macabre event, and see a list of wedding vendors.